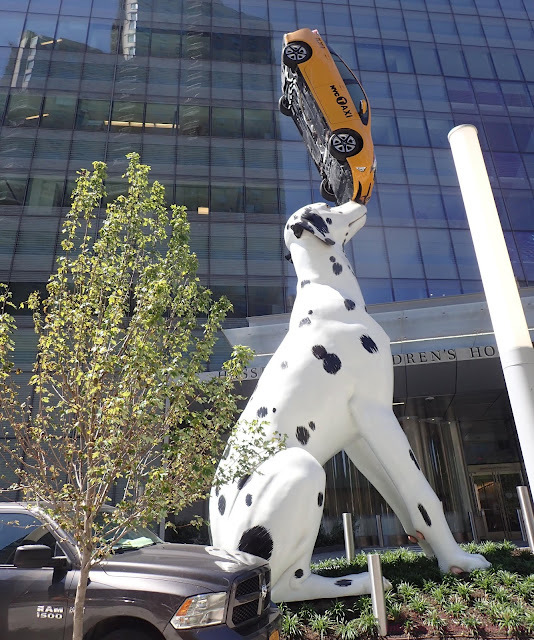 New York: Picture of the Day : SPOT , a 30-foot Dalmatian dog balancing a taxi on his snout by American sculptor Donald Lipski. SPOT is based at 34th Street and 1st Avenue as a part of a giant renovation of NYU Langone Hospital. Toyota offered up the real Prius. SPOT , a 30-foot Dalmatian dog balancing a taxi on his snout by American sculptor Donald Lipski. SPOT is based at 34th Street and 1st Avenue as a part of a giant renovation of NYU Langone Hospital. Toyota offered up the real Prius.